My first hesitation on even using hasoffers is that their business model doesn’t work. It’s not possible for them to be delivering a high-availability, redundant solution at that cost (free to $99/mo). Because of that extremely low cost, I have to assume that they are sacrificing something somewhere, whether it be redudancy, bandwidth, data backup, etc. Other people are agreeing with this and jumping to a more sinister conclusion that hasoffers is using the extremely cheap cost to lure marketers into using the system and mining their data for keywords, campaigns, etc. @audax I do understand your concern. I read threads at wickedfire and talked to others who also feel and felt the same way as you. I always try to think back to the tracking202 guys. They were put in the same kind of boat sort of…they were offering a free service and everyone was weary of them. I heard many accusations and theories as to why they were doing it, most being that they were going to be stealing keywords and campaigns of affiliates. As we all know, they ended up being a solid company and really producing some value for the community. Since many of the things I hear aren’t true, that is why I decided to test out the hasoffers platform for myself, and if things start to seem fishy or there are any facts revealed proving that hasoffers is crooked, then I will cease everything with them and move on over to linktrust or hitpath or something. For now though, I will continue to test things out on a smaller scale to see how everything continues to go. Thanks for the solid comment man, I appreciate your insight into the matter! 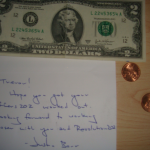 I understand your comparison with T202 but that product evolved into a paid product which further illustrates my points. The software to run a network is more complex than T202 needs to be, yet hasoffers is below the T202 pricing for the same click-thru rate. With hasoffers, 500k clicks is only $99, yet T202Pro is $249. Hasoffers simply can’t be providing a solid, reliable service at that price, and for that reason alone I can’t trust it with such critical data. Correction: Tracking202 Pro at 500k clicks per month is $2,249.95 (excluding API costs). I was in roughly the same boat when I started my network, and I did the same thing with testing out HasOffers. Long story short, they have been great to work with and I haven’t had any issues whatsoever with tracking or things going down. It tracks better than DT does, and right on par with LinkTrust. I agree with you Trevor, if HasOffers or Adapp Solutions does anything shady to give me a reason to switch, I will, but until then there is no reason to jump ship from a product that does what I need it to do at such a low cost. For a newbie, I think that this is a great place to start. I will be looking into this option and to also implement it as well. Thanks A Million! Beware of this site and company, they are a complete scam. Consider the system a pyramid scheme at best. They do not keep accurate statistics, they alter the numbers in order to con their customers. I am posting this to warn you before you get ripped off too. What kind of BS comment is that? Care to back up your claims with some proof? Has anyone here had a successful experience at building their own CPA\Affiliate Network and if so at what level? What particular tools have been employed for this? Prompt replies and answers greatly appreciated. Yeah … I want to know the same…. I have had plenty of success with building my own Network. The thing is, I am not looking for some huge public CPA network. I am looking for taking offers I have exceptional payouts at and levereging them to some GOOD private affiliates and friends that I know PERSONALLY. I also use the hasoffers platform for when I do local lead gen so that the companies have an interface to work with and so I can distribute these offers to my private affiliate base. As for particular tools….I’m not clear on what you mean. I use the hasoffers script as I was grandfathered in to their PRO plan and it is working out great for me. The only other portion is you getting offers and affiliates. You can either broker offers or go direct by contacting advertisers yourself. For affiliates, You have to figure out a way to get them…but like I said, both of these are completely in your hands. 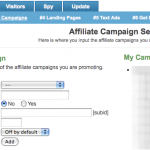 I would like to know how your affiliate network is doing currently with hasoffers. I’m in the process of starting up a local one just for my country, and see how it does. Many startups make things free to get people to try things out and once they get traction, they charge fees which is the case with HasOffers now. I am also comparing to cj.com and Google Affiliate Network because I have a bigger budget. Any feedback? Also, without any proof from the anonymous naysayer above, it’s hard for me to take that comment seriously. No, hasoffers is not a scam. Just started a couple of days ago and I am a complete newbie at this. I’m struggling with getting affiliates, does anyone have any tips? how much do you make from each affiliate you get to market offers on your CPA network? do affiliates mind you make them market as sub affiliates under you? is this the way any CPA network in the world work? signup for merchant then make affiliates signup under them? My CPA network http://www.cpadome.com is use hasoffers and their platform is very good. Try them out you will not be sorry!! Next ArticleSwear at an IVR (interactive voice response) system = Instant human on the line!